Their faith challenged an empire. 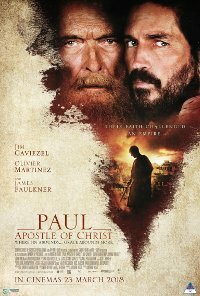 This film is about the last days of Paul, as Luke tries to convince him to share his life story for future generations to read. Paul is held captive by Nero, soon to be executed, and Luke is desperate that Paul’s story must be accurately recorded, for the good of the church. No persons under 13 (Violence, Prejudice).